The electronic music lovers among us have seen Richie Hawtin an infinite number of times, and in many different formats- inside and out. But the man who one day decided to fuse with techno assures us that we still haven’t seen him and his music as they are in reality. 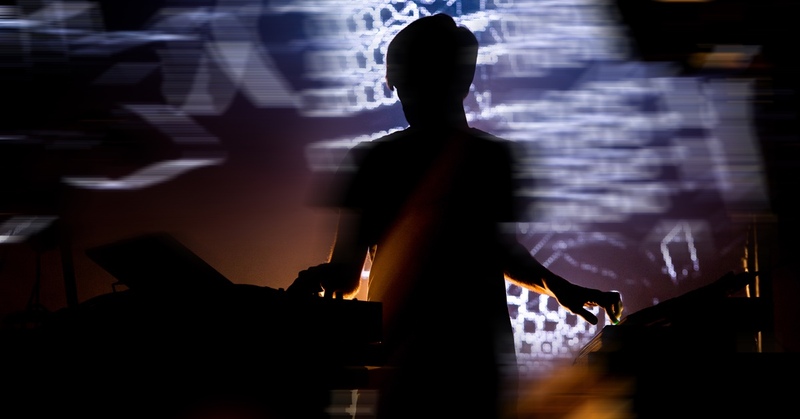 That is why Hawtin has designed the show CLOSE, in which he separates the waters of the DJ table so that we can see how his body works to control the computers and analogical synthesisers that shape his show. Add to this mise en scene a series of strategically placed cameras, that record and detail (and distort with special effects) the evolution of the musician, allowing the audience to become immersed in the eye of the storm of his life show… Mr Hawtin, we are ready for your close up.